Pamela Toler - "Women Warriors"
“Lucid and lively, Pamela Toler’s delightfully complex history of women’s presence on the battlefield debunks the myth that women have not been and therefore cannot be warriors. It is a welcome contribution to the growing body of work that seeks to bring women out of the shadows of history, in this case the particularly male world of military history.”—Anne Boyd Rioux, author of Meg, Jo, Beth, Amy: The Story of Little Women and Why It Still Matters. 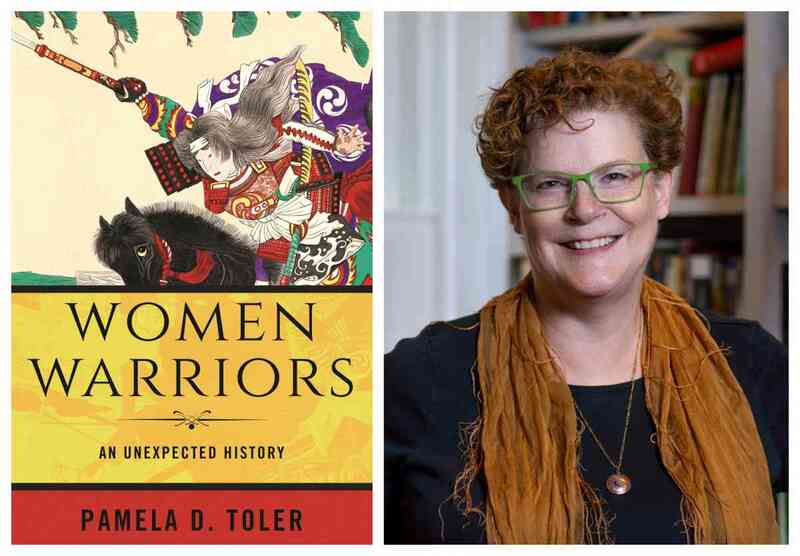 Pamela Toler discusses Women Warriors: An Unexpected History. A Q&A and signing will follow the discussion. About the book: In Women Warriors, historian Pamela Toler examines the stories of historical women for whom battle was not a metaphor: using both well known and obscure examples, drawn from the ancient world through the twentieth century and from Asia and Africa as well as from the West. Looking at specific examples of historical women warriors, she considers why they went to war, how those reasons related to their roles as mothers, daughters, wives, or widows, peacemakers, poets or queens—and what happened when women stepped outside their accepted roles to take on other identities. She considers the ways in which their presence on the ramparts or the battlefield has been erased from history and looks at the patterns and parallels that emerge when we look at similar stories across historical periods and geographical boundaries. She looks at ordinary women who did extraordinary things as well as the truly exceptional. About the author: Armed with a PhD in history, a well-thumbed deck of library cards, and a large bump of curiosity, author, speaker, and historian, Pamela D. Toler translates history for a popular audience. She goes beyond the familiar boundaries of American history to tell stories from other parts of the world as well as history from the other side of the battlefield, the gender line, or the color bar. Toler is the author of eight books of popular history for children and adults. Her newest book, Women Warriors: An Unexpected History is due out February, 2019. Her work has appeared in Aramco World, Calliope, History Channel Magazine, MHQ: The Quarterly Journal of Military History and Time.com. Who says women don't go to war? From Vikings and African queens to cross-dressing military doctors and WWII Russian fighter pilots, these are the stories of women for whom battle was not a metaphor.